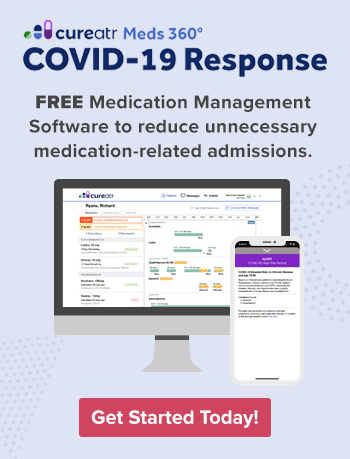 It’s well known and documented that medication adherence can mean the difference between a patient’s condition improving and a patient’s condition declining. So why is it so often difficult to get patients to manage and take their medications? That’s a million dollar question that obviously can’t be answered in a blog post. But what can be answered is how clinicians can collaborate with patients to develop a medication management care plan that moves the needle. Here are five steps to creating a plan. This interactive conversation is best held in the physician’s office, after the patient is asked to bring all medications with them in a brown bag. It can be conducted by a trained, clinical staff person who is coached how to frame the conversation properly. One by one, each prescription, over-the-counter medicine, vitamin, and herbal remedy is reviewed with the patient, with staff documenting on a card or a form the name, reason for taking, dosage, frequency, correct time to consume, and any special instructions. Throughout the process, staff look for remaining refill numbers and note whether a prescription requires a refill. When expired medications are identified, patients are encouraged to leave them with the staff for proper disposal. 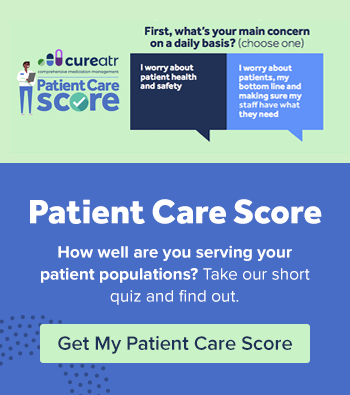 The Agency for Healthcare Quality and Research (AHRQ) has a Medication Management Checklist and Procedure for clinic staff to use with patients. AHRQ suggests the conversation start with staff thanking the patient for bringing in their medicines and using the word medicine instead of medication. It’s more familiar. A physician, mid-level provider, or RN leads this conversation after the inventory is complete. Responses from patients and family members may be wide-ranging and include reasons for not taking the medicine as well as honest discussions about paying for them. Clinicians must be non-confrontational in this dialogue, sensitive to the costs of pills they have prescribed, and sensitive to the issues that might keep the patient from refilling or taking their pills. Motivational Interviewing (MI) is an effective set of techniques for these conversations. Read this overview from the American College of Clinical Pharmacy for details. It includes tips for implementing MI into patient conversations, too. A colleague told me recently about having to assume the management of her mom’s medicines, when mom’s 96 year old boyfriend could no longer handle the task. She was surprised how complicated it was to stay on top of picking up the prescriptions and refilling the pill trays due to the sequencing required to refill four prescriptions, two vitamins, and baby aspirin. So imagine if the patient has limited dexterity, cognitive impairment, or mobility issues. Talk with patients about creating effective strategies to stay organized. First, do they have pill trays at home? How many and which type? Daily, weekly, monthly? How do they remember which pill goes into which tray section? How do they manage the refill cadence when multiple medicines are involved? Who performs a ‘double check’ to make sure each day’s pills are correct? Don’t leave even the simplest of tasks unaddressed. You may be surprised to learn, for example, that the patient isn’t even aware of where he or she can purchase a pill tray. Consider making a “Get Organized with Your Medication” sheet of ‘tips and tricks,’ based on what you learn from patients. Creating a routine can be the hardest step in the medication management care plan process if the patient’s medication regimen is complicated, requires multiple doses each day, or has special instructions such as “take with milk.” What if the patient doesn’t like milk? Or is a vegan? What then? Don’t assume the patient will figure out an alternative on their own. Ask patients to think about days they forgot to take their pills, and analyze what was going on to make that happen. Did the patient fall asleep? Leave the house without taking the pills with them to the office? This discussion can help clinicians modify a medicine or the scheduled dosing to align with the patient’s lifestyle. Encourage the use of automated reminder apps such as Medisafe, Mango Health, or Round Health, all of which provide an easy way for patients who love their mobile devices to remember to take their pills. This is the future of medication dispensing. Many pharmacies and other companies dispense a MDD pack that includes all the patient’s daily medicines in tear strip bags or bubble packs, instead of in single prescription bottles. This negates the need for patients or caregivers to manually fill a pill box with multiple medicines. MDD is simple and convenient and doesn’t cost patients anything extra. Patients supply their insurance information and the pharmacy prepares the individualized, daily packs of prescribed and over-the-counter medicines (as long as the latter are prescribed by a physician). The pharmacy or company automatically bills the patient’s insurance with each refill. Patients can choose to pick up their pill pack or have it delivered, which is often free. CVS, Walgreen’s, and PillPack are three options.